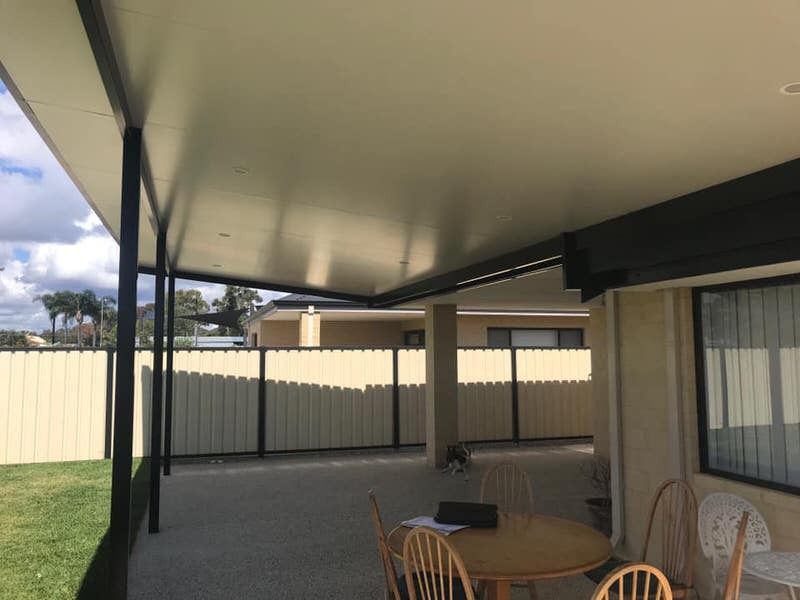 If you have a patio area separate from your house a free-standing skillion patio sitting on four posts can also provide you with the shade protection you desire. 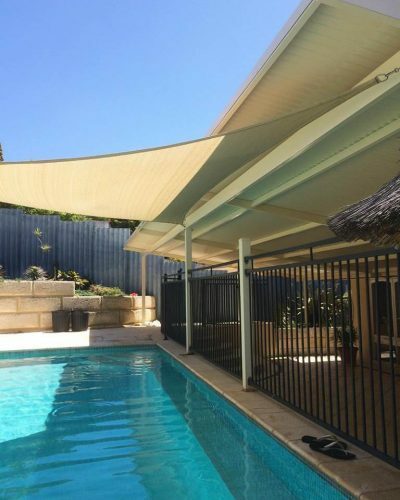 With all skillion roofs, you have a variety of panel options available. 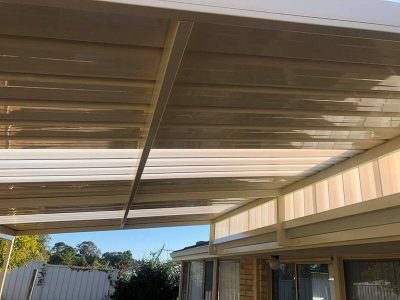 The panels are constructed using polycarbonate material and can be painted almost any colour to match your residence or décor. If you are covering a dark area skylight panels can be used to allow sunlight through. 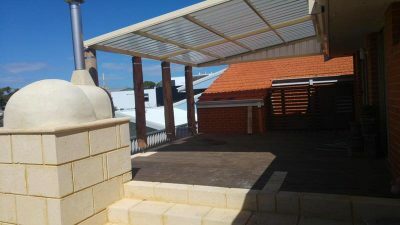 The roofing panels can be arranged in a variety of attractive ways used as an overlapping design or a lattice approach. 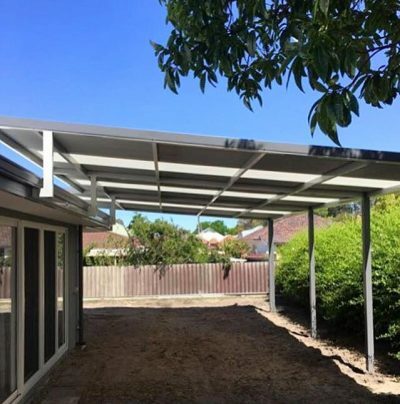 A skillion designed structure can be installed very quickly unlike a full structure and can often be finished in a single day. 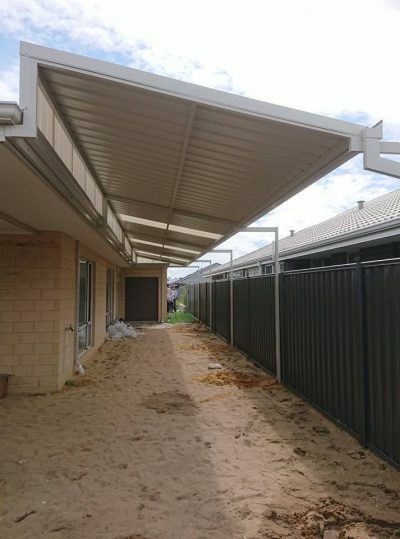 Once the support poles are perfectly placed the horizontal framing is added on which the assortment of panels will sit. This type of construction proves to be fast, efficient and affordable. 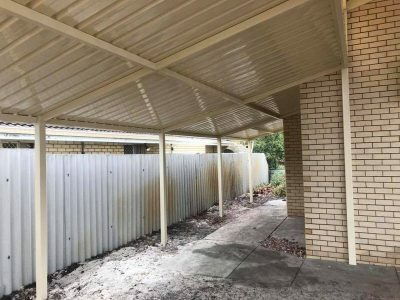 If you own a home without a garage, a carport may be the way to go. It will not only add convenience and protection for your vehicles but increase the value of your property as well. 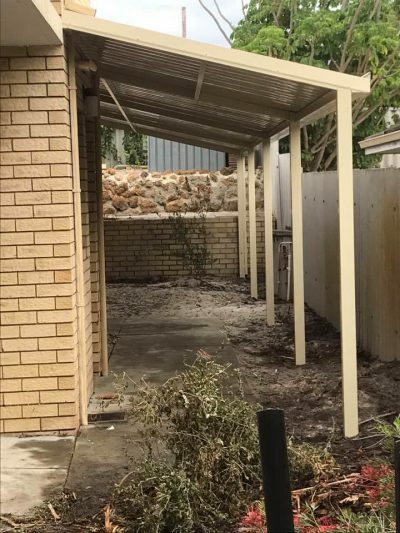 Let the patio factory take the responsibility of designing and constructing your carport. 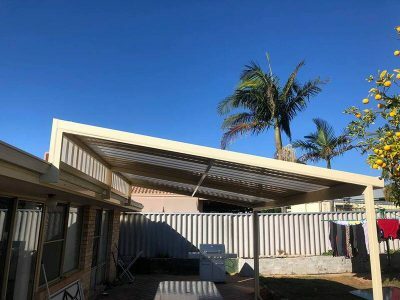 The Patio Factory designers will ensure they obtain all required permits or government approvals before building a long-lasting structural sound carport. You will have a modern looking alternative for transforming empty space into a usable functional space for parking your car, storing your tools, or entertaining your guests. 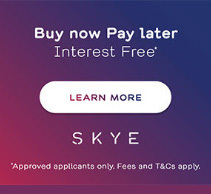 Although the construction will be done by someone else, you will have the final word when it comes to design, materials and colours. Contact The Patio Factory Company today and talk to a representative about what your needs are. You won’t be disappointed.